It is well known fact that Akkineni handsome lad, Akhil, is making his debut under the direction of VV Vinayak. The unit is currently busy canning important scenes in Thailand. 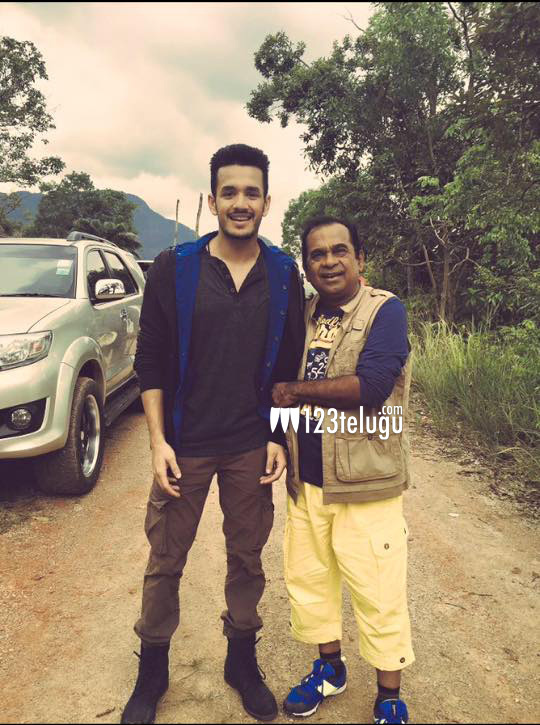 During his leisure time, Akhil posted a photo straight from the location, which features comedy king Brahmanandam. The star comedian is also a part of this much awaited film. Reminiscing about the past, Akhil went back to the days of his Sisindri movie to recollect his memories.